Intuitive, easy-to-use and quick to learn, with Cedreo home architecture software, no technical training is necessary to create realistic preliminary drafts in a matter of minutes, including all the necessary features to create your commercial proposals, from 2D plans to realistic projections of house, interior and exterior designs in 3D. With Cedreo, from home plan to client presentation, sales teams are 100% autonomous. The time needed between meetings is reduced, handle more clients and complete more sales. Roughly 80% of all preliminary drafts are handled by our customers’ salespeople. Design layouts are ready for sales teams to build new preliminary drafts directly from your online Cedreo account. The sales teams can copy and personalize templates to match clients’ needs. Cedreo’s architecture software increases the efficiency of your preliminary drafts. Help your clients picture themselves in their future home, and sign more quickly! 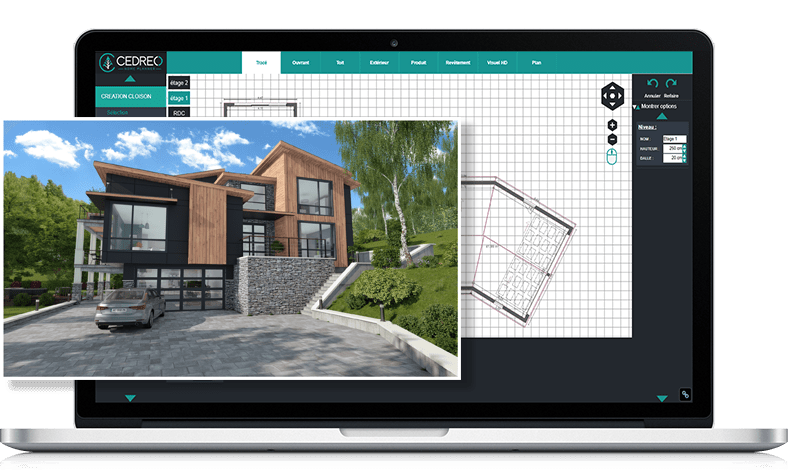 With Cedreo’s software, create all the materials needed for your clients’ home building projects: Present your 2D and 3D home plans and realistic-looking interior and exterior renderings. 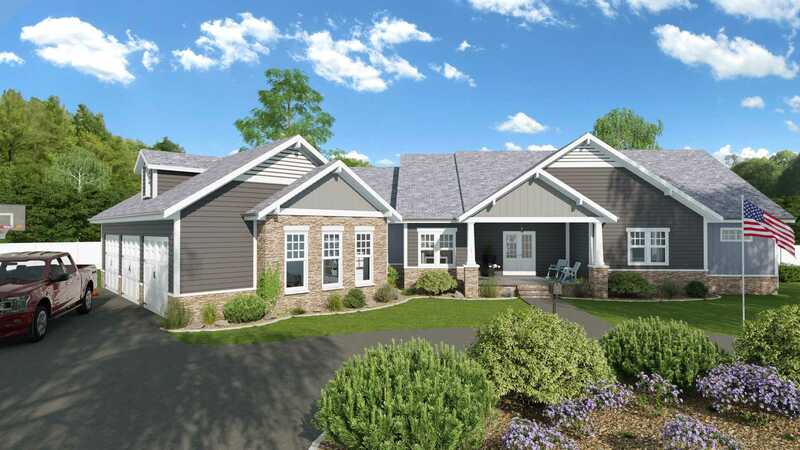 The client can picture themselves in their future home, giving them greater confidence, remove all semblances of doubt are removed in 3D: Space, design, etc… Your clients will spend less time making their decision before signing. Our customers reduced the average time between the first meeting and signing the contract by 30%. 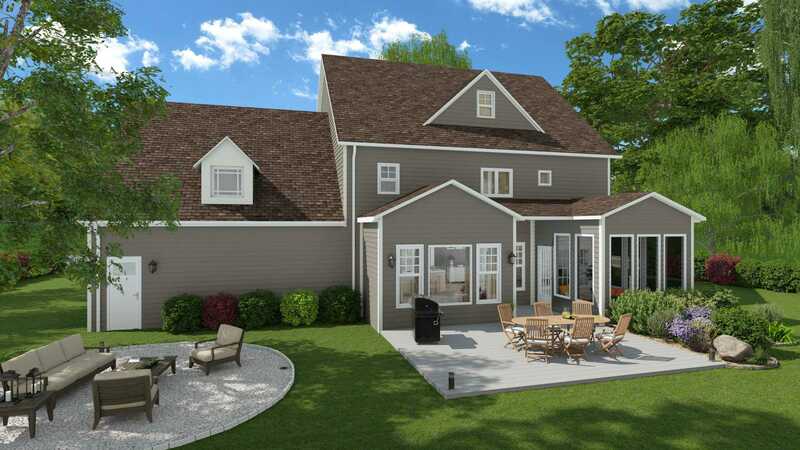 3D renderings created with Cedreo’s software are a powerful tool that help architecture professionals build brand awareness with their potential clients. On social media, on your website, at trade-shows or at your own studio, use them to help make your expertise stand-out from the crowd, and build new leads. 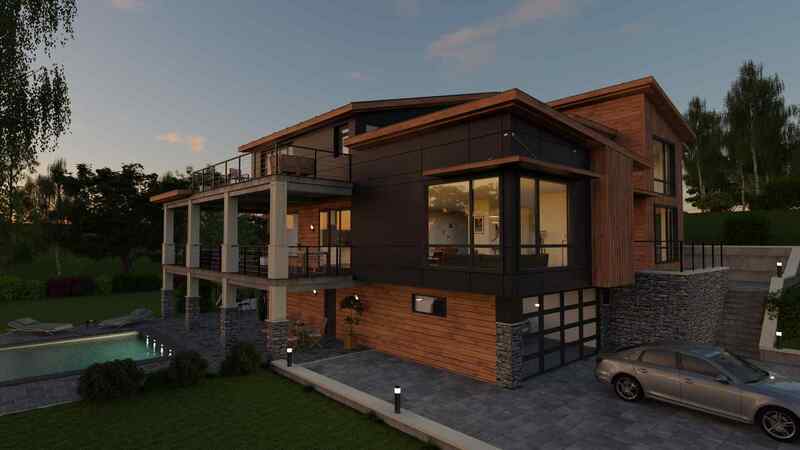 Night-views, exterior renderings, and axonometric projects give you the tools to win over your new clients. With Cedreo’s home architecture software, there is no need for technical training, single-family home architecture sales teams can manage the entire preliminary draft phase from start to finish in less than one hour, without the need for a building engineer. 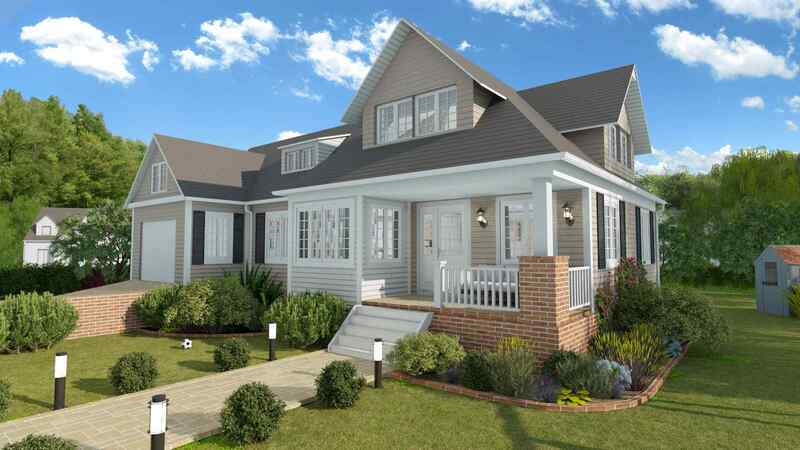 From 3D home plans to 3D renderings of the fully-furnished home. Cedreo creates all the necessary documentation that your client needs, and helps them picture themself in their future home. Give them confidence and help them sign faster! Greater flexibility and ability to respond to your client’s demands during the preliminary draft phase: Time saved between each client meeting allows you to sell faster and serve more potential clients. To help make your teams even more efficient, Cedreo’s home architecture software allows you to save and organize all previous projects, sorted by client and ready to copy and modify for a new project, all using the same interface. You can also integrate your portfolio, ready for your sales teams to share with potential clients.